UPC IS CHANGING its name to Virgin Media in Ireland. The move comes after the telecommunications company became part of the Virgin Group last December. 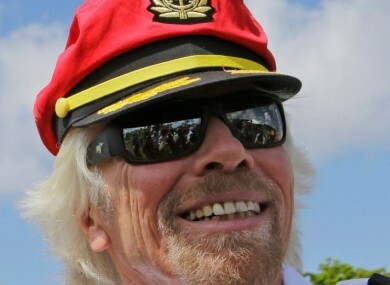 Virgin Group founder Richard Branson said the organisation is “delighted” to bring the brand to Ireland. Magnus Ternsjö, CEO of UPC Ireland, said introducing the Virgin Media brand to Ireland is “a big investment in our business and our future”. “In almost every corner of the world, the Virgin brand is famous for its entrepreneurial spirit in delivering more for customers, which is exactly what we’re going to do by building even further on all our innovation and achievements to date,” Ternsjö said. Virgin Media UK was bought by Liberty Global plc, the world’s largest international cable company, in 2013. Liberty recently acquired TV3 for €80 million. Further details on when the name change will take place, and what this could mean for customers, will be announced in due course. Email “Goodbye UPC, hello Virgin Media ”. Feedback on “Goodbye UPC, hello Virgin Media ”.